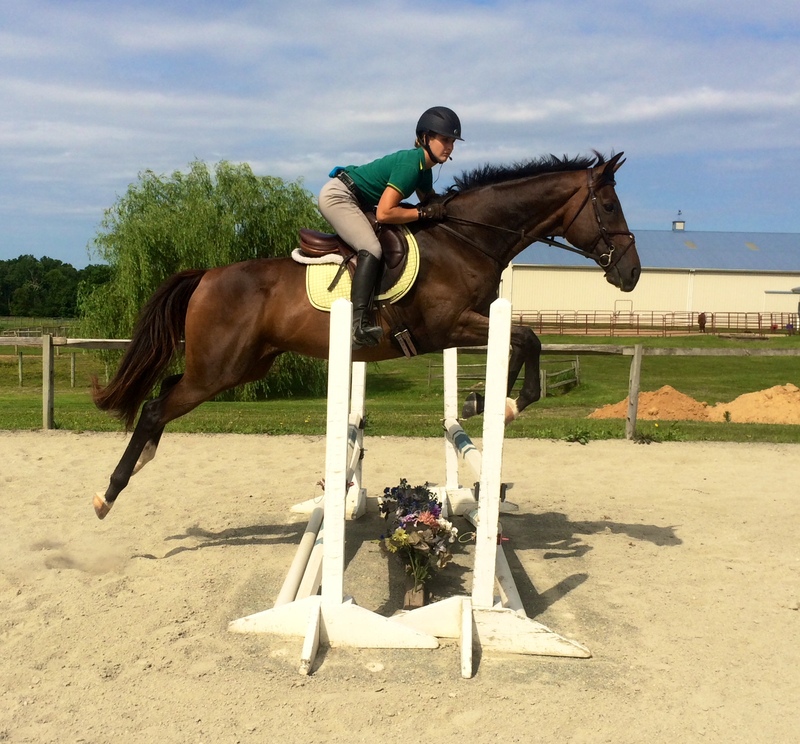 Jazz is a flashy dark bay thoroughbred gelding with chrome and a star. He is a fancy mover, simple to ride, and a brave and honest jumper. 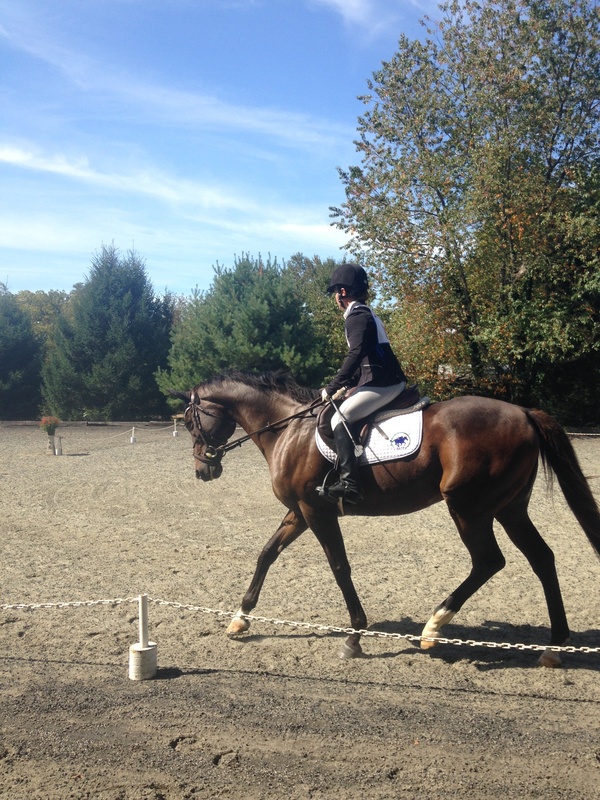 Jazz has jumped up to 4’ with no problem, and is schooling lateral work. 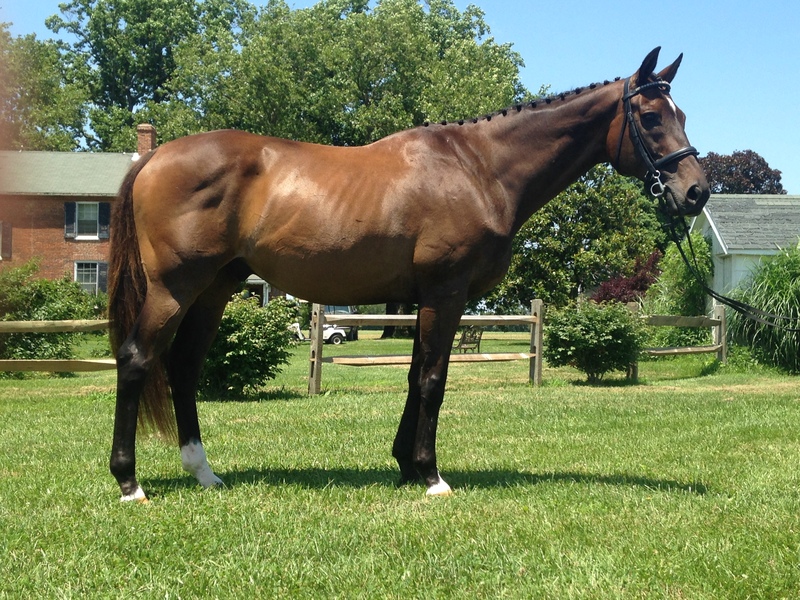 He has completed 3 beginner novice level events with competitive dressage,clean jumping, and top 5 finishes in all events. He is a quiet but forward horse with good manners and a pleasant attitude. He is still green and not for a beginner. Jazz has no vices, loads, stands, clips, etc. well, and is the same gentleman away at shows as he is at home.